Sometimes plain rice is just too bland. 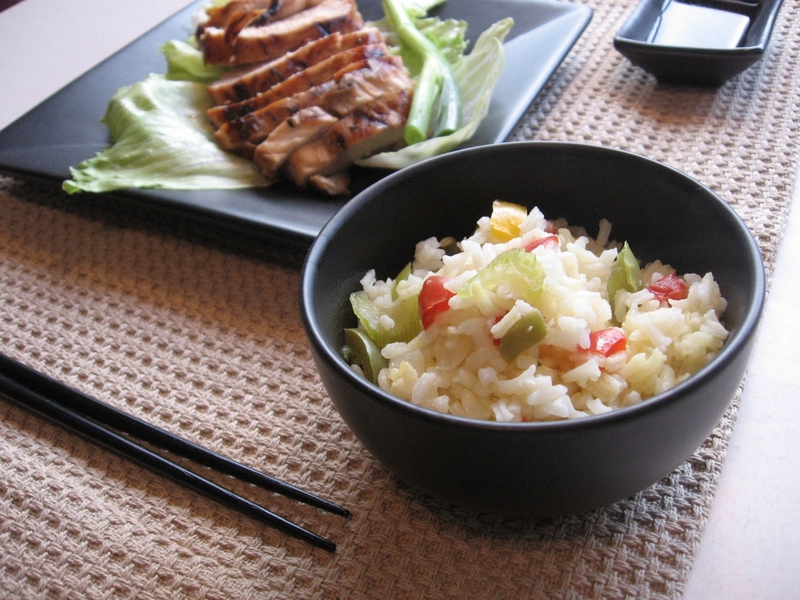 Sometimes there isn’t enough time to make a more involved side dish like fried rice. This sweet pepper rice recipe offers a quick and tasty rice side dish with lots of eye-appeal, all in just a few moments. Place 4 cups of water in a large saucepan. Add the bouillon cubes, butter and vegetables. Bring to a boil and simmer for three minutes. Stir to make sure bouillon cubes are dissolved. Add the rice while still heating. Stir until rice mixture thickens. When vegetables will no longer sink to the bottom, cover, remove from heat and let sit for 5 minutes.